Officially established on October 27, 2011, the Foundation for Liberty and Prosperity is now on its fourth year of operation. Ably led by its Board of Trustees—namely Chief Justice (CJ) Artemio V. Panganiban, CJ Hilario G. Davide Jr., Washington Z. Sycip, Edilberto C. De Jesus, Elenita C. Panganiban, Maria Theresa P. Mañalac, Jennifer J. Manalili, Evelyn T. Dumdum and Joel Emerson J. Gregorio—the FLP has steadily gained recognition from its stakeholders and partners through its various programs, projects and activities. The FLP continues to serve its purpose through its FLP officers, namely CJ Artemio V. Panganiban (Chairman of the Board), Evelyn T. Dumdum (President), Tanya Karina A. Lat (Executive Vice-President), Rebecca G. Felix (Treasurer), Joel Emerson J. Gregorio (Corporate Secretary), Martin Angelo L. Esguerra (Executive Director [until June 2017]), and Susana N. Gavino (Executive Director [since August 2017]). In addition, the chairs of the various standing committees are: CJ Artemio V. Panganiban (Executive Committee), Washington Z. Sycip† [until October 7, 2017] (Finance Committee), Justice Angelina Sandoval-Gutierrez (Governance Committee), and Edilberto C. De Jesus (Education Committee). The first batch of officers was CJ Artemio V. Panganiban, Chairman of the Board, Maria Elena P. Yaptangco, President; Evelyn T. Dumdum, Executive Vice President; Elenita C. Panganiban, Treasurer; and Joel Emerson J. Gregorio, Corporate Secretary. The FLP was founded to perpetuate the core judicial philosophy of then Chief Justice Artemio V. Panganiban—that jurists and lawyers should not only safeguard the liberty of our people but must also nurture their prosperity under the rule of law. In the first few years since its incorporation, FLP focused on the following activities: (1) FLP’s flagship project, the “Chief Justice Panganiban Professorial Chairs on Liberty and Prosperity,” (2) the official FLP Website (www.libpros.com), and (3) the “Liberty & Prosperity Journal,” hitherto an e-newsletter. By 2017, the Foundation is implementing two education-centered programs to complement its flagship project: the FLP Dissertation Writing Contest and FLP Legal Scholarship Program. The “Chief Justice Panganiban Professorial Chairs on Liberty and Prosperity” is being implemented for more than five (5) years now following its launch on 18 September 2012 at the Metrobank Auditorium, Makati City. This flagship project is in partnership with the Metrobank Foundation, which has so far donated a total of One Million Four Hundred Thousand Pesos (PhP 1,400,000) in co-sponsorship of the program. The total funds for the project, including FLP’s co-sponsorship fund, amounts to Two Million Eight Hundred Thousand Pesos (PhP 2,800,000). FLP started with the appointment of nine (9) deans of distinguished law schools and the Chancellor of the Philippine Judicial Academy (PhilJA). The outputs varied in form from traditional lectures, debates, as well as moot court competitions. The written lectures from the chair holders have been uploaded to the FLP website and published in the Liberty & Prosperity e-newsletter. These shall be compiled and will eventually be published in a book form as well as other modes of communications under the information, education and communication projects of FLP. In 2017, the appointment of two (2) chair holders were renewed, namely (1) Atty. Sedfrey M. Candelaria (Dean, Ateneo de Manila School of Law); and (2) Atty. Joan Sarausos-Largo (Dean, University of San Carlos School of Law and Governance). In addition, four new appointments were made: Dean Melencio S. Sta. Maria, Far Eastern University, Dean Gemy Lito L. Festin, Polytechnic University of the Philippines; Professor Elizabeth Aguiling-Pangalangan, University of the Philippines College of Law; and Professor Tanya Karina A. Lat, Ateneo Law School. This brings the number of chair holders to 13. The FLP Dissertation Contest is a five-year program which aims to augment the Foundation’s flagship project by incorporating new, dynamic and perhaps more profound input to the body of works discussing FLP’s core philosophy. We believe that the fresh insight and unique perspective of law students will provide bold, novel and innovative avenues for the development of the Foundation’s tenets. FLP will look for the best thesis and/or dissertation – or its equivalent in law schools not offering the Juris Doctor program – that espouses the philosophy of liberty and prosperity under the rule of law. The contest is co-sponsored with the Ayala Group and in cooperation with the Philippine Association of Law Schools (PALS). The contest is open to third year and fourth year law students as well as those taking up Master of Law. Only one (1) entry per student is allowed. Each entry must be a thesis/dissertation or its equivalent that espouses the philosophy of liberty and prosperity under the rule of law. An entry must be certified to have gone through the process of a thesis/dissertation or a procedure similar thereto and that it is of thesis/dissertation type and quality. The Foundation will also tap its roster of professorial chair holders, among others, to create the Panel of Judges who will choose the winning entries and conduct dialogues where the winners shall discuss, argue and debate their submissions, engendering a deeper understanding of the core philosophy of the Foundation. These discourses on their work with the Panel of Judges will foment the kind of analysis that will contribute to the evolution, development and enrichment of the Foundation’s philosophy. FLP will also constitute a Dissertation Contest Committee to assist the Panel of Judges. Up to twenty (20) qualifying entries will be chosen by the FLP Dissertation Contest Committee from all entries submitted. Thereafter, a short list of up to ten (10) entries will be chosen by the FLP Panel of Judges from the twenty (20) qualifying entries. The authors on the shortlist will then each submit a new entry, either expanding on their respective original entries or covering a completely new subject. The FLP Panel of Judges will choose the five (5) recipients of the primary awards (first, second and honorary mentions) from the new entries submitted by the ten (10) authors on the short list. Monetary awards are as follows: PhP300,000 to the first-place winner, PhP 200,000 to the second-place winner, and PhP100,000 each to three (3) honorary mentions. These winners will also receive commemorative plaques. The twenty (20) qualifying entries chosen by the FLP Dissertation Contest Committee will each receive PhP20,000. The Ayala Corporation has already agreed to facilitate the provision of funds for this project through its various partners and has committed to FLP the funding for the entire five-year program. They have given Two Million Pesos (PhP 2,000,000) for the first year of the program. Activities in School Year 2017-2018. The FLP conducted an information campaign regarding the contest in all law schools of the country. Flyers and posters were sent to the law schools throughout the country through their respective deans for dissemination to the law students to encourage them to submit entries to the dissertation writing contest. FLP officials visited law schools in the National Capital Region and in Cebu and discussed the mechanics/guidelines of the contest. Among these law schools are the University of the Philippines, Ateneo Law School, De La Salle University, Centro Escolar University, Far Eastern University, Polytechnic University of the Philippines, University of San Carlos, Pamantasan ng Lungsod ng Maynila, and San Beda University. Information regarding the contest was posted online on the FLP and some law school websites and through social media – Facebook pages of FLP, PALS, Association of Law School Students of the Philippines, Bar Boys, and law schools. FLP also tapped its scholars in disseminating information regarding the contest to their fellow students. Deadline for submission of entries was moved twice to allow more students to join the contest and to synchronize the contest timetable with the law schools’ calendar. During the discussion with the law school deans, it was learned that thesis/dissertation writing usually starts in the second semester of the 3rd year level and it is only in the second semester of the 4th year level when students have a full paper ready for presentation. The table below shows the list of entries. 13. Marcley Augustus D. Natu-El, University of San Carlos Regulating Bitcoin in the Philippines, A Study On Risks and Recommended Legal Solutions: Striking the Balance between Security and Development. A Screening Committee headed by FLP Corporate Secretary, Atty. Joel Gregorio, conducted the initial screening of the 18 entries and determined that 5 entries passed the qualifying round. Another 3 entries were found to have potential and may be considered for a merit award subject to their submission of a revised paper that meets the requirements of the contest. Meanwhile, FLP organized its Board of Judges with Supreme Court Justice Presbitero J. Velasco, Jr. (Chairman), and Former Education Secretary Dr. Edilberto De Jesus, PALS President Sedfrey Candelaria, Ateneo Law School Professor Tanya Karina A. Lat, and Ayala Corporation General Counsel Solomon Hermosura as members. This is a four-year program. The Foundation is sponsoring a unique, merit-based FLP Scholarship Program. Co-sponsored by the Tan Yan Kee Foundation and also undertaken in cooperation with PALS, it aims to look for the best and the brightest law students in the country. There will be ten (10) scholars for the program and the scholarship is open to those entering their third year as law students. FLP is opening ten (10) slots to all law schools that have obtained a passing percentage above the overall passing percentage for the bar exams of the relevant year based on the statistical data from the Supreme Court Office of the Bar Confidant. No law school shall have more than three (3) awardees in a year. Applicants must submit an essay written in English with a minimum of two thousand (2,000) words and a maximum of 3,000 words. The essay must be on the philosophy of the Foundation, expanding on and espousing the precept: safeguarding of liberty and nurturing of prosperity under the rule of law, and how he/she will apply the same in his/her legal career. There will be an interview to be conducted by the FLP Panel of Judges who will be given full discretion in the conduct of the said interview. The Panel shall consider the candidate’s ability to demonstrate clearly, logically and concisely what he/she has done and intends to do to propagate and espouse the philosophy of liberty and prosperity under the rule of law. Although the scholarship is merit-based, the less privileged shall be preferred in case of a tie between two nominees. Selection shall be final when affirmed by the FLP. Awardees must agree to the terms and conditions of the FLP Scholarship Program, including but not limited to, the requirement to provide volunteer services for the Foundation as well as giving back to the FLP Scholarship Program to ensure its sustainability such as teaching law subjects that espouse the philosophy of liberty and prosperity, developing a concept/program along the philosophy of the FLP and commitment to mentoring other law students, subject to institutional arrangements with partner law schools. Awardees must likewise agree to enter into a formal commitment agreement with FLP and the pertinent academic institution for this purpose. Each of the ten FLP Scholarship is a monetary scholarship award of PhP200,000 of which a maximum of PhP100,000 shall be for tuition fee and PhP20,000 for the book allowance. The amounts for the tuition fee and the book allowance will be transferred to the account of the student created especially for this purpose and in tranches corresponding to the schedule of payment for tuition fee per semester of the pertinent academic institution. The remaining PhP 80,000 for stipend shall be deposited monthly throughout the academic year to the same account created for this purpose. Only such amount needed shall be deposited. If the tuition fee component of the monetary scholarship award is in excess of the awardee’s tuition, the balance will be returned to FLP, which will be used for the scholarship program. If the awardee is entitled to another scholarship award, he/she will still receive the cash monetary scholarship award to be provided by the FLP. The Tan Yan Kee Foundation has provided a total of Six Million Four Hundred Thousand Pesos (PhP 6,400,000) for the first two school years of the program. Activities in School Year 2017 – 2018. The FLP is continuously undertaking activities that will broaden the reach of its programs. As usually done at the start of its program implementation, FLP conducted an information campaign on the FLP legal scholarship program in the 34 law schools of the country that had a percentage of passing higher than the overall percentage of passing for the 2015 bar exams. FLP produced flyers and posters and sent these to the qualified law schools throughout the country through their respective deans for dissemination to the law students to encourage them to submit applications to the legal scholarship program. Posters were also displayed in the law schools’ bulletin board. FLP officials visited law schools in the National Capital Region and in Cebu and discussed the mechanics/guidelines of the program. Among these law schools are the University of the Philippines, Ateneo Law School, De La Salle University, Centro Escolar University, Far Eastern University, Polytechnic University of the Philippines, University of San Carlos, Pamantasan ng Lungsod ng Maynila, and San Beda University. Information regarding the contest was posted online on the FLP and some law school websites, and through social media – Facebook pages of FLP, PALS, Association of Law School Students of the Philippines, Bar Boys, law school student councils, and law schools. FLP also tapped its incumbent scholars in disseminating information regarding the scholarship program to their fellow students. In the meetings with law school deans, FLP officials learned the challenges law students face in applying for FLP scholarship: the requirements of the FLP scholarship program are too high, students are having a hard time getting the grades required in the program, most of their students are working students and this contributes to the difficulty in maintaining high grades. The slots for the six (6) 2016-2017 FLP Scholars who were not able to maintain their scholarship was opened to new applicants. The number of awardees was also increased to a maximum of three (3) for each school per year. Sixteen (16) scholarship openings for the following: 10 scholars for incumbent third-year law students, and six (6) scholars for incumbent fourth-year law students. To allow more students to participate in the contest, the deadline for submission of entries was moved from September 15, 2017 to October 31, 2017. By end of October 2017, the Foundation received a total of 25 applications. The table below shows the number of applicants for each year level. The Board of Judges for the interview and final judging of applicants to the Legal Scholarship Program for S/Y 2017-2018 was organized with Supreme Court Senior Justice Antonio Carpio as Chairman, and Former Secretary of Education Dr. Edilberto C. De Jesus, PALS President and Ateneo Law School Dean Sedfrey M. Candelaria, Tan Yan Kee representative Ms. Elizabeth T. Alba, and FLP Corporate Secretary Atty. Joel Emerson J. Gregorio as members. Final evaluation and interview of applicants were scheduled to be held in February 2018. The Foundation has continued to use a simple, neat and uniform design aesthetic for its website (www.libpros.com) that remains consistent whatever device is being used to view or access it – either desktop, tablet or smartphone. It features front and center the two (2) new programs being undertaken by the Foundation: the FLP Dissertation Writing Contest and the FLP Legal Scholarship Program. The guidelines and forms for these programs have also been uploaded and are ready for download by interested participants and the public. The current composition of the Board of Trustees has also been updated. We have also provided a special email address for the Secretariat (secretariat@libpros.com) for coordination and support for these programs. We will continue to work with the site’s administrator, Mr. Kristian Jeff C. Agustin, to further improve and enhance the website. FLP accreditation with the Philippine Council for NGO Certification (PCNC) has been renewed, this time for an extended period of three years (compared to the previous one-year period accreditation) from March 31, 2017 to March 30, 2020. This was after we submitted the necessary documents to PCNC and the site visit last August 23, 2016. PCNC thereafter transmitted our application for renewal to the BIR. FLP has already received the BIR’s Certification also effective for an extended period of three years from July 17, 2017 to April 5, 2020. The Foundation, through its Executive Director, participated in the 18th PCNC Annual Assembly held last June 1, 2017 at the JY Campos Hall, UNILAB Bayanihan Center, Kapitolyo, Pasig City. As one of the accredited members in good standing, FLP was able to participate in the discussions and vote for the new members of the PCNC Board of Trustees. A project proposed by Mr. Kristian Jeff C. Agustin, the Liberty & Prosperity: Images, Figures, Expressions (LIFE) is a visual art competition that aims to make known the Foundation’s philosophy of “liberty and prosperity under the rule of law” in creative ways. It is designed after three well-established and long-running visual art competitions in the Philippines, namely: the DPC-PLDT Visual Art Competition, the Metrobank Art & Design Excellence Competition and the Shell National Students Art Competition. By launching a new visual art competition, the FLP can make itself more relevant to the country’s art and culture scene, which is very instrumental in capturing or defining the “zeitgeist” of a particular society. For instance, today’s zeitgeist of “Filipino Democracy” has eventually latched on to the consciousness and culture of Filipinos by way of the media’s constant revisiting of the EDSA People Power Revolution and representations of the spirit of “Filipino-ness” (especially by means of evocative images and stories). Hence, to better promote its vision of “a society that safeguards liberty and nurtures prosperity under the rule of law” to the public, the FLP must tap and develop the potential of Filipino artists, designers, and other creative practitioners. FLP also plans to partner with the Metrobank Foundation regarding the publication of two (2) coffee table books: one, a compilation of the lectures and output delivered under the CJ Panganiban Professorial Chair Program; and two, a compilation of selected speeches of CJ Panganiban. Metrobank Foundation agreed in principle to sponsor said coffee table book projects and offered to assist FLP in undertaking the same considering that they have had several similar projects. In terms of its commitment to reforms, FLP plans to work closely with the SC and the Office of the Ombudsman in establishing a reform program patterned after the SC’s Action Program for Judicial Reform (APJR). The Foundation is planning to seek the assistance from the World Bank (which provided the funding for the APJR) and other international funding institutions in this endeavor. Another avenue as regards reform (as well as education) is FLP’s plan to partner with the Legal Education Board in developing a program to reform the legal education in the Philippines. The Department of Education (DepEd) has adopted the teaching exemplars on the rule of law developed under the Public Education on the Rule of Law Advancement and Support (PERLAS) Project of the Supreme Court and DepEd. The exemplars integrate concepts of the rule of law into the basic education curriculum to educate and inform the public on the functioning of a society anchored on the justice system and to mold the students into becoming responsible and law-abiding citizens. A total of 112 teachers from 82 public schools nationwide have been trained on the use of these exemplars in 2011. FLP will collaborate with the Department of Education in revisiting these exemplars and enhance these as may be necessary to keep these relevant to the current situation in the country. FLP plans to assist in the roll-out of these exemplars to all public and private schools in the country. The Foundation is looking at establishing an FLP Museum where various memorabilia and important items will be kept and made available for viewing of the public. This will be through a possible purchase of the entire floor of a building in FEU Makati at cost which the Chairman has proposed to the Chairman of FEU to be put up in the land purchased by FEU where the old 6-story Zuellig building is located at the corner of Ayala and Buendia Avenues. The Chairman of FEU said that she will bring this proposal to the Board of FEU and that she agrees in principle to sell one floor to the Foundation. As reported by then FLP President Maria Elena P. Yaptangco in her First Annual Report (2012), the Foundation was incorporated with a total of two million pesos (P2,000,000) as initial funds, contributed by retired Chief Justice Artemio V. Panganiban. At present, based on the 2017 Audited Financial Report presented before and approved by the Board of Trustees, the Foundation’s total assets reached a sum of seventy million six hundred seventy-nine thousand seven hundred twenty-four pesos (Php70,679,724.00) which includes the value of the PCCI property in Makati. FLP’s depository bank is Bank of the Philippine Islands (BPI). The funds may be withdrawn only by signature of two of its four authorized signatories, preferably, the President and/or the Treasurer. Apart from its cash assets, the Foundation is the recipient of copyrights over the “Ageless Passion” musical compositions of Mr. Ryan Cayabyab and lyrics thereto by Mr. Kristian Jeff C. Agustin. These were—surnames in alphabetical order—(1) Atty. Reynaldo U. Agranzamendez (Dean, University of the Cordilleras College of Law); (2) retired Supreme Court Justice Adolfo S. Azcuna (Chancellor, PhilJA); (3) Atty. Andres D. Bautista (Dean (until 2014), Far Eastern University Institute of Law, now Commission on Elections [COMELEC] Chairman); (4) Atty. Sedfrey M. Candelaria (Dean, Ateneo de Manila School of Law); (5) Atty. Danilo L. Concepcion (Dean, University of the Philippines College of Law, now President of the University of the Philippines System); (6) Atty. Jose Manuel I. Diokno (Dean, De La Salle University College of Law); (7) Atty. Nilo T. Divina (Dean, University of Santo Tomas Faculty of Civil Law); (8) Atty. Joan Sarausos-Largo (Dean, University of San Carlos School of Law and Governance); (9) retired Supreme Court Justice Eduardo B. Nachura (Chairman, Arellano University Law Foundation); and (10) Atty. Manuel Quibod (Ateneo de Davao University College of Law). Regrettably, the 10th appointee failed to respond to FLP’s cordial invitation and appointment letter; hence he was eventually and decidedly removed from the list of chair holders. The FLP continues to serve its purpose through its FLP officers, namely CJ Artemio V. Panganiban (Chairman of the Board), Evelyn T. Dumdum (President), Rebecca G. Felix (Treasurer), Joel Emerson J. Gregorio (Corporate Secretary) and Martin Angelo L. Esguerra (Executive Director and Chief Operations Officer). In addition, the chairs of the various standing committees are: CJ Artemio V. Panganiban (Executive Committee), Washington Z. Sycip (Finance Committee), CJ Hilario G. Davide Jr. (Governance Committee), and Edilberto C. De Jesus (Education Committee). The first batch of officers were CJ Artemio V. Panganiban, Chairman of the Board, Maria Elena P. Yaptangco, President; Evelyn T. Dumdum, Executive Vice President; Elenita C. Panganiban, Treasurer; and Joel Emerson J. Gregorio, Corporate Secretary. The FLP was founded to perpetuate the core judicial philosophy of then Chief Justice Artemio V. Panganiban—that jurists and lawyers should not only safeguard the liberty of our people but must also nurture their prosperity under the rule of law. In the first three years since its incorporation, FLP focused on the following activities: (1) FLP’s flagship project, the “Chief Justice Panganiban Professorial Chairs on Liberty and Prosperity,” (2) the official FLP Website (www.libpros.com), and (3) the “Liberty & Prosperity Journal,” hitherto an e-newsletter. In 2016, the Foundation launched two new education-centered programs to complement its flagship project: the FLP Dissertation Writing Contest and FLP Legal Scholarship Program. As the flagship project of the Foundation, the Chief Justice Panganiban Professorial Chairs on Liberty and Prosperity is being implemented for four years now, following its launch on September 18, 2012 at the Metrobank Auditorium, Makati City. The Metrobank Foundation partnered with the FLP in this endeavor and has so far donated a total of One Million Four Hundred Thousand Pesos (P1,400,000.00) in co-sponsorship of the program. FLP started with the appointment of nine (9) deans of distinguished law schools and the Chancellor of the Philippine Judicial Academy (PhilJA). The Foundation wanted to encourage educational institutions and law schools to research and propagate the philosophy at the level of the academia (including training of students, professors, lawyers, and judges). The outputs varied in form from traditional lectures, debates, as well as moot court competitions. The written lectures from the chair holders have been uploaded to the FLP website and published in the Liberty & Prosperity e-newsletter. These shall be compiled and will eventually be published in a book and/or in other modes of communications under the information, education and communication projects of FLP. The first batch of recipients include the following deans of the top nine (9) law schools in the Philippines, plus a tenth chair in the Philippine Judicial Academy (PhilJA). These were—surnames in alphabetical order—(1) Atty. Reynaldo U. Agranzamendez (Dean, University of the Cordilleras College of Law); (2) retired Supreme Court Justice Adolfo S. Azcuna (Chancellor, PhilJA); (3) Atty. Andres D. Bautista (Dean, Far Eastern University Institute of Law); (4) Atty. Sedfrey M. Candelaria (Dean, Ateneo de Manila School of Law); (5) Atty. Danilo L. Concepcion (Dean, University of the Philippines College of Law); (6) Atty. Jose Manuel I. Diokno (Dean, De La Salle University College of Law); (7) Atty. Nilo T. Divina (Dean, University of Santo Tomas Faculty of Civil Law); (8) Atty. Joan Sarausos-Largo (Dean, University of San Carlos School of Law and Governance); (9) retired Supreme Court Justice Eduardo B. Nachura (Chairman, Arellano University Law Foundation); and (10) Atty. Manuel Quibod (Ateneo de Davao University College of Law). Regrettably, the 10th appointee failed to respond to FLP’s cordial invitation and appointment letter; hence he was eventually and decidedly removed from the list of chair holders. Two (2) chair holders were renewed, namely (1) Atty. Sedfrey M. Candelaria (Dean, Ateneo de Manila School of Law); and (2) Atty. Joan Sarausos-Largo (Dean, University of San Carlos School of Law and Governance). FLP recently included Atty. Melencio S. Sta. Maria, Dean of the Far Eastern University – Makati to the roster of distinguished lecturers. Notably, Dean Sedfrey M. Candelaria delivered his commitment in full. The Ateneo Law School Dean delivered his second public lecture entitled “Comparative Analysis of the Memorandum of Agreement on Ancestral Domain and the Framework Agreement on the Bangsamoro” on November 29, 2013. Thereafter, he organized an international moot court competition at the Ateneo Justitia Hall from March 4 to 5, 2014. Marking the second anniversary of the Professorial Chairs on Liberty and Prosperity (September 18, 2014), Deans Joan Sarausos-Largo and Mikhail Lee L. Maxino delivered their public lectures in September and November 2014, in Cebu City and Dumaguete City, respectively. This year, Dean Sarausos-Largo of USC delivered a lecture on “Charting a Path to a Relevant and Responsive Legal Education in the Philippines: A Draft Law Curriculum for the 21st Century Filipino Lawyer”, proposing a revision of the existing law curriculum and legal training to make it more responsive to the challenges on both liberty and prosperity. The lecture was held on December 9, 2016 in Cebu. The contest will be open to all law schools nationwide. Each school may submit a maximum of three (3) entries, with one (1) entry per student. Participants will be junior and senior law students (3rd and 4th year). FLP will look for the best thesis/dissertation (or its equivalent in law schools not offering the Juris Doctor program) that espouses the philosophy of liberty and prosperity under the rule of law. An entry must be certified to have gone through the process of a thesis/dissertation or a procedure similar thereto and that is of thesis/dissertation type and quality. The committee shall choose a maximum of twenty (20) entries, which will already receive Twenty Thousand Pesos (PhP 20,000). Thereafter, the Panel of Judges composed of five (5) members shall come up with a shortlist of ten (10) entries from which five (5) winners will be chosen: 1st place will receive Three Hundred Thousand Pesos (PhP 300,000), 2nd place Two Hundred Thousand Pesos (PhP 200,000) and three (3) honorable mentions each receiving One Hundred Thousand Pesos (PhP 100,000). The authors on the shortlist will then each submit a new entry, either expanding on their respective original entries or covering a completely new subject. The Foundation has already announced the Contest Guidelines in its website and the Chairman’s column in the Philippine Daily Inquirer. These, together with flyers and posters were also disseminated through the deans of law schools in cooperation with the Philippine Association of Law Schools. This is a four-year program. The Foundation is sponsoring a unique, merit-based FLP Scholarship Program. Co-sponsored by the Tan Yan Kee Foundation and also undertaken in cooperation with PALS, it aims to look for the best and the brightest law students in the country. There will be ten (10) scholars for the program and the scholarship is open to those entering their third year as law students. FLP is opening the ten (10) slots to all law schools that have obtained a percentage of passing above the overall percentage of passing for the 2014 bar exams based on the statistical data from the Supreme Court Office of the Bar Confidant. The Foundation will add one more scholar each year for the duration of the program so that eventually, in four years, we will have forty (40) beneficiaries/scholars. Applicants must submit an essay written in English with a minimum of two thousand (2,000) words and a maximum of three thousand (3,000) words. The essay must be on the philosophy of the Foundation, expanding on and espousing the precept: safeguarding of liberty and nurturing of prosperity under the rule of law, and how he/she will apply the same in his/her legal career. There will be an interview to be conducted by the FLP Panel of Judges who will be given full discretion in the conduct of the said interview. The Panel shall consider the candidate’s ability to demonstrate clearly, logically and concisely what he/she has done and intends to do to propagate and espouse the philosophy of liberty and prosperity under the rule of law. Although the scholarship is merit based, the less privileged shall be preferred in case of a tie between two nominees. Selection shall be final when affirmed by the FLP. Each of the ten FLP Scholarship is a monetary scholarship award of PhP200,000 of which a maximum of PhP100,000 shall be for tuition fee and PhP20,000 for book allowance. The amounts for the tuition fee and the book allowance will be transferred to the account of the student created especially for this purpose and in tranches corresponding to the schedule of payment for tuition fee per semester of the pertinent academic institution. The remaining PhP80,000.00 for stipend shall be deposited monthly throughout the academic year to the same account created for this purpose. Only such amount needed shall be deposited. If the tuition fee component of the monetary scholarship award is in excess of the awardee’s tuition, the balance will be returned to FLP, which will be used for the scholarship program. If the awardee is entitled to another scholarship award, he/she will still receive the cash monetary scholarship award to be provided by the FLP. The Tan Yan Kee Foundation has initially provided Two Million Pesos (PhP 2,000,000) for the first year of the program. TYK has likewise approved the funding for the second year of implementation of the program and will transmit the funds once FLP secures the required BIR Certification. The first set of FLP scholars, consisting of eleven (11) third year law students were chosen for the school year 2016-2017. The Foundation published and distributed its e-newsletter “Liberty & Prosperity Journal” by the second quarter of 2013. These were received in PDF format by FLP’s network of VIPs, stakeholders, and academics via email. The ten professorial chair holders likewise received copies of the e-newsletter and promised to disseminate them to their respective law schools for the benefit of students and faculty alike. FLP has so far released eight (8) e-newsletters with Volume 4 Issue 1 (2015) and Volume V Issue 1 (2016) as the most recent issues. The Foundation’s website (www.libpros.com) has undergone a complete revamp, with major changes in layout as well as scalability. Based on the comments and suggestions of the Chairman, the new website now has a simple, neat and uniform design aesthetic that remains consistent whatever device is being used to view or access it – either desktop, tablet or smartphone. It also features front and center the two (2) new programs being undertaken by the Foundation: the FLP Dissertation Contest and the FLP Scholarship Program. The guidelines and forms for these programs have also been uploaded and are ready for download by interested participants and the general public. We have also provided a special email address for the Secretariat (secretariat@libpros.com) for coordination and support for these programs. We will continue to work with the site’s administrator, Mr. Kristian Jeff C. Agustin, to further improve and enhance the website. The Foundation conducted a formal awarding ceremony for the Eleven (11) LibPros Scholars last December 1, 2016 at the new University of the Philippines Campus in Bonifacio Global City (BGC) with Chief Justice Maria Lourdes P.A. Sereno as guest of honor. The Chairman of the Foundation gave the closing remarks, thanking our co-sponsor, partners and stakeholders as well as the invited guests in attendance. With the transfer of the Foundation office to the 3rd Floor, PCCI Corporate Center in Makati from 1203 Acacia Street, Dasmariñas Village, Makati, the Foundation has also hired a secretary and a clerk/driver as part of the secretariat. FLP has likewise executed lease contracts with Baron Travel Corporation and Arpan Air Incorporated, receiving a total monthly rental of PhP 303,032.60, which is being used for administrative and operational expenses. FLP accreditation with the Philippine Council for NGO Certification (PCNC) was up for renewal on June 8, 2016. The FLP Secretariat has submitted the necessary documents to PCNC and a site visit was conducted on August 23, 2016. The representatives from PCNC went over the documents FLP prepared for their review and conducted interviews with members of the BoT and FLP staff. The Foundation participated in the 17th PCNC Annual Assembly on May 24, 2016 at the JY Campos Hall, UNILAB Bayanihan Center, Kapitolyo, Pasig City. As one of the 435 accredited members in good standing, FLP was able to participate in the discussions and vote for the new members of the PCNC Board of Trustees. FLP voted for Ms. Carmen Linda M. Atayde of SM Foundation Inc. and Mr. Augusto P.I. Carpio III of the Aboitiz Foundation Inc. Both won and became the new membes of the board. By launching a new visual art competition, the FLP can make itself more relevant to the country’s art and culture scene, which is very instrumental in capturing or defining the “zeitgeist” of a particular society. For instance, today’s zeitgeist of “Filipino Democracy” has eventually latched on to the consciousness and culture of Filipinos by way of the media’s constant revisiting of the EDSA People Power Revolution and representations of the spirit of “Filipino-ness” (especially by means of evocative images and stories). Hence, to better promote its vision of “a society that safeguards liberty and nurtures prosperity under the rule of law” to the general public, the FLP must tap and develop the potential of Filipino artists, designers, and other creative practitioners. In terms of its commitment to reforms, FLP plans to work closely with the SC and the Office of the Ombudsman in establishing a reform program patterned after the SC’s Action Program for Judicial Reform (APJR). The Foundation is planning to once seek the assistance from the World Bank (which provided the funding for the APJR) and other international funding institutions in this endeavor. As reported by then FLP President Maria Elena P. Yaptangco in her First Annual Report (2012), the Foundation was incorporated with a total of two million pesos (P2,000,000) as initial funds, contributed by retired Chief Justice Artemio V. Panganiban. Presently, based on the 2016 Audited Financial Report presented before and approved by the Board of Trustees, the Foundation’s total assets reached a sum of Sixty-Seven Million Four Hundred Seventy-Two Thousand Three Hundred Two Pesos (P67,472,302)—which includes the value of the recently purchased PCCI property in Makati. Apart from its cash assets, the Foundation is the recipient of copyrights over the “Ageless Passion” musical compositions of Mr. Ryan Cayabyab and lyrics thereto by Mr. Kristian Jeff C. Agustin. Mr. Cayabyab’s professional fees amounting to four hundred thousand pesos (P400,000) were paid for directly by several friends of our Chairman, led by businessman Eduardo Yap. Atty. Joel Emerson J. Gregorio, FLP Corporate Secretary, obtained copyrights of these works from the government. The Foundation’s vision is a society that fully appreciates the necessity of “Liberty & Prosperity” and their essential interdependence. It underscores FLP’s core philosophy, that liberty and prosperity are mutually inclusive. The Foundation’s mission is to educate the people regarding this fundamental and essential interrelation between liberty and prosperity by initiating, maintaining, organizing, and supporting projects aimed at promoting, educating, training, developing, assisting and protecting liberty and prosperity under the rule of law. The FLP continues to serve its purpose through its FLP officers, namely CJ Artemio V. Panganiban (Chairman of the Board), Evelyn T. Dumdum (President), Rebecca G. Felix (Treasurer), Joel Emerson J. Gregorio (Corporate Secretary) and its recently hired Executive Director and Chief Operations Officer, Martin Angelo L. Esguerra. In addition, the chairs of the various standing committees remain—CJ Artemio V. Panganiban (Executive Committee), Washington Z. Sycip (Finance Committee), CJ Hilario G. Davide Jr. (Governance Committee), and Edilberto C. De Jesus (Education Committee). The FLP was founded to perpetuate the core judicial philosophy of then Chief Justice Artemio V. Panganiban—that jurists and lawyers should not only safeguard the liberty of our people but must also nurture their prosperity under the rule of law. 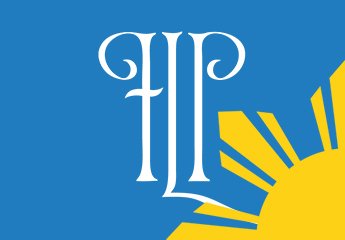 In the first three years since its incorporation, FLP focused on the following activities: (1) the “Chief Justice Panganiban Professorial Chairs on Liberty and Prosperity,” (2) the official FLP Website (www.libpros.com), and (3) the “Liberty & Prosperity Journal,” hitherto an e-newsletter. As the flagship project of the Foundation, the Chief Justice Panganiban Professorial Chairs on Liberty and Prosperity is being implemented for three years now, following its launch on September 18, 2012 at the Metrobank Auditorium, Makati City. The Metrobank Foundation partnered with the FLP in this endeavor and has so far donated a total of One Million Four Hundred Thousand Pesos (P1,400,000.00) in co-sponsorship of the program. Two (2) chair holders were renewed, namely (1) Atty. Sedfrey M. Candelaria (Dean, Ateneo de Manila School of Law); and (2) Atty. Joan Sarausos-Largo (Dean, University of San Carlos School of Law and Governance). In addition to the roster of distinguished lecturers, we have recently included Atty. Melencio S. Sta. Maria, Dean of the Far Eastern University – Makati. The Foundation published and distributed its e-newsletter “Liberty & Prosperity Journal” by the second quarter of 2013. These were received in PDF format by FLP’s network of VIPs, stakeholders, and academics via email. The ten professorial chair holders likewise received copies of the e-newsletter and promised to disseminate them to their respective law schools for the benefit of students and faculty alike. FLP has so far released six (6) e-newsletters with the two most recent issues (Volume II Issue 4 and Volume III Issue 1) completed in time for the Philippine Council for NGO Certification (PCNC) visit last March 16, 2015. Fifty (50) copies of the last two issues were likewise printed for limited distribution. The Foundation plans to source funds from the World Bank for the mass printing and distribution of these newsletters. The Foundation’s website has undergone some changes, most notably its new landing page. Visitors to the site www.libpros.com will now arrive at the “about” page that has been redesigned to feature the two most recent article and/or activity of the foundation as well as an active slide showing notable events and activities. This gives the website a more dynamic feel as compared to the previous layout. Updates with regard to the FLP Officers were also included. New articles, activities and events are continuously being updated. The Secretariat will continue to work with the site’s administrator, Mr. Kristian Jeff C. Agustin, in order to further improve it. In order to expedite ongoing projects as well as implement future programs, the Foundation has begun its planned establishment of an FLP Secretariat. FLP started by hiring a chief operating officer to run the day-to-day operations of the secretariat. However, in order to hire additional support staff and meet its operational and administrative expenses, the Foundation needs a steady stream of funds. For this purpose, the Foundation—through the Chairman—has requested contributions from several generous donors for the purchase of a 709 sq. m. property located at the PCCI Corporate Center in Makati. A small portion of the said property shall serve as the FLP Secretariat’s headquarters, while the rest shall be leased out to provide funds for the FLP Secretariat’s operational expenses. The Foundation was able to purchase the property in December 2015. A Deed of Dale was signed between Lopez Holdings Corporation and FLP on December 23, 2015. Pursuant to its earlier verbal commitment, the Toyota Motors Philippines Corporation donated one (1) Innova on March 15, 2015 for the use of the Secretariat. This will facilitate the implementation of the various projects of the Foundation, particularly through liaising with partners, donors and stakeholders as well as delivering FLP output to target beneficiaries of its programs/projects. As part of the Foundation’s thrust on information, education and communication programs, FLP recently co-sponsored the ASEAN Law Association (ALA) General Assembly and the ASEAN Chief Justices Summit together with the ALA and the Supreme Court (SC) with financial assistance from PLDT and the San Miguel Group. It was the FLP Chairman who suggested the theme for the event, i.e., “Sharing Prosperity at the Crossroads of ASEAN Integration – the Legal Challenges.” The Foundation also provided technical and financial assistance, particularly with regard to the airfare expenses of the Chief Justices from Myanmar, Cambodia and Laos and their respective spouses. FLP Chairman CJ Panganiban also delivered a speech on entrepreneurship and the FLP philosophy during the ALA Delegates’ Luncheon. The ALA General Assembly was held at the Makati Shangri-La Hotel last February 26, 2015 while the ASEAN Chief Justices Summit was in Boracay from March 1 to 2, 2015. On June 9, 2015, the Board of Trustees of PCNC approved the Foundation’s application for accreditation and resolved to endorse the same to the Bureau of Internal Revenue for the issuance of a Certificate of Donee Institution. This came after the site visit by the representatives from PCNC conducted on March 16, 2015. After going over the documents FLP prepared for their review and conducting interviews with members of the BoT and FLP staff as well as the Deans and law students invited to participate during the site visit, PCNC shared their observations and recommendations. Most notable of these were the need to come up with an operations manual, financial management procedures, the establishment of an administrative structure and revised organization structure as well as guidelines for volunteers. As it were, all these have been complied with as FLP now has a Manual of Operations and Financial Management Procedures duly approved by the Board of Trustees. Apart from the information dissemination efforts of the Foundation by means of e-newsletters and its official website mentioned above, FLP will seek World Bank (WB) sponsorship of its ICT (Information and Communication Technology) and IEC (Information, Education, and Communication) projects. Also, the Foundation will spearhead the reconvening of the Global Forum on Liberty and Prosperity on October 2016, marking the 10th year of the first one in 2006. These high-profile projects are lined up to elevate FLP’s philosophy to the international arena—to gain traction and support outside the Philippines. On April 13, 2015, FLP met with Dean Melencio S. Sta. Maria of FEU Institute of Law (FEU-IL) to discuss, inter alia, the establishment of the Center for Liberty and Prosperity within the school premises. A space has already been provided for this and it was agreed that a draft Memorandum of Agreement (MOA) will be transmitted to FEU-IL for consideration of the Board. Dean Sta. Maria, for his part, undertook to take it up with the President of FEU-IL. Meanwhile, a work plan is being prepared by the FLP Secretariat. As regards the Center for Liberty and Prosperity at the Ateneo Law School in Rockwell, the Ateneo Law School has assured us that a space will be provided for said purpose at the annex building being constructed and the details will be discussed soon after the constructions are finished. FLP also had a meeting last April 15, 2015 with the Metrobank Foundation regarding the updates on the FLP Professorial Chairs as well as the publication of two (2) coffee table books: one, a compilation of the lectures and output delivered under the CJ Panganiban Professorial Chair Program; and two, a compilation of selected speeches of CJ Panganiban. Metrobank Foundation agreed in principle to sponsor said coffee table book projects and offered to assist FLP in undertaking the same considering that they have had several similar projects. As part of its thrust on education and information dissemination, FLP will organize a contest among students (candidates of doctor of jurisprudence) for best thesis/dissertation or its equivalent in law schools not offering the Juris Doctor program, that espouses the philosophy of liberty and prosperity under the rule of law. This would foster more scholarly studies on FLP’s judicial philosophy, encourage critical thinking and analysis and eventually, a synthesis on the legal theory and judicial philosophy of the Foundation. Another program for education, FLP will provide scholarships for deserving law students. The intention is to cultivate the seeds of FLP’s judicial philosophy and thus encourage future lawyers to build their legal careers in promoting liberty and prosperity under the rule of law, becoming catalysts for its development and propagation. FLP met with Mr. Philip Sing, the Head of the Tan Yan Kee Foundation, and discussed partnership in bringing this project to fruition. The Foundation will organize a program that teaches the rule of law to elementary students. FLP believes that young students represent the next generation of the country, so this will be planting seeds for the future. In connection with this, the President and the Executive Director met with Mr. Jonas Turingan of Libertas last April 17, 2015 to discuss the continuation of the public education on the rule of law or PERLAS project which the Foundation aims to revive and implement under the auspices of the World Bank with emphasis on poverty alleviation and education. FLP seeks to tap the World Bank and other foreign and local funding sources in order to implement this major program as part of its information, education and communication thrust. Mr. Turingan has committed to submit a concept note for this program. Together with the More Proactive Advocacy Program and the Student Scholarship program, these three programs represent FLP’s three-pronged education-centered thrusts in propagating, evolving and developing its core philosophy. Apart from the Centers for Liberty and Prosperity, the Foundation is looking at establishing an FLP Museum where various memorabilia and important items will be kept and made available for viewing of the public. This will be through a possible purchase of the entire floor of a building in FEU Makati at cost which the Chairman has proposed to the Chairman of FEU to be put up in the land purchased by FEU where the old 6-story Zuellig building is located at the corner of Ayala and Buendia Avenues. The Chairman of FEU said that she will bring this proposal to the Board of FEU and that she agrees in principle to sell one floor to the Foundation. As reported by then FLP President Maria Elena P. Yaptangco in her First Annual Report (2012), the Foundation was incorporated with a total of two million pesos (P2,000,000) as initial funds, contributed by retired Chief Justice Artemio V. Panganiban. Presently, based on the 2015 Audited Financial Report presented before and approved by the Board of Trustees, the Foundation’s total assets reached a sum of Sixty Million Nine Hundred Eighty-Seven Thousand Three Hundred Ninety-Two Pesos (P60,987,392). To date, the Foundation has not incurred any salaries and personnel expenses. The Executive Director and Chief Operating Officer, Atty. Martin Angelo L. Esguerra, is being given an allowance by The Baron Travel Corporation until the FLP Secretariat can be fully established through the purchase and subsequent leasing out of the PCCI property which shall cover, among others, the salary of the ED and other personnel to be hired. In addition, the Board of Trustees is meeting quarterly pro bono. Regular meetings, including meals and snacks, are generously hosted by Chief Justice & Mrs. Artemio V. Panganiban at 1203 Acacia, Dasmariñas Village, Makati. Namely: Mr. Ramon Ang, Manila Electric Company, Philippine Long Distance Telephone Company, Metro Pacific Investment Corporation, Lopez Holdings Corporation, Inc. and First Philippine Holdings. Formally organized and incorporated on October 27, 2011, the Foundation for Liberty and Prosperity will celebrate its third anniversary this year. Led by its Board of Trustees—namely Artemio V, Panganiban, Elenita C. Panganiban, Hilario G. Davide Jr., Washington Z. Sycip, Edilberto C. De Jesus, Jennifer J. Manalili, Maria Elena P. Yaptangco, Maria Theresa P. Manalac, and Joel Emerson J. Gregorio—the FLP has already gained the admiration of its stakeholders within such a short period of time. The FLP continues to serve its purpose with a new batch of officers, namely Artemio V. Panganiban (Chairman of the Board), Evelyn T. Dumdum (President), Rebecca G. Felix (Treasurer), and Joel Emerson J. Gregorio (Corporate Secretary). In addition, the chairs of the various standing committees remain—Artemio V. Panganiban (Executive Committee), Washington Z. Sycip (Finance Committee), Hilario G. Davide Jr. (Governance Committee), and Edilberto C. De Jesus (Education Committee). The position of Executive Vice President, formerly held by Evelyn T. Dumdum, is now vacant. Two former members of the Executive Committee—Maria Elena P. Yaptangco and Elenita C. Panganiban—cordially left their posts during the Annual Membership and Organizational Meeting on July 15, 2013. The first batch of officers were Artemio V. Panganiban, Chairman of the Board, Maria Elena P. Yaptangco, President; Evelyn T. Dumdum, Executive Vice President; Elenita C. Panganiban, Treasurer; and Joel Emerson J. Gregorio, Corporate Secretary. Elected chair of the various standing committees were Artemio V. Panganiban (Executive Committee), Washington Z. Sycip (Finance), Hilario G. Davide Jr. (Governance), and Edilberto C. De Jesus (Education). The FLP was founded to perpetuate the core judicial philosophy of then Chief Justice Artemio V. Panganiban—that jurists and lawyers should not only safeguard the liberty of our people but must also nurture their prosperity under the rule of law. Thus, the first two years since its incorporation saw the FLP realizing its first projects and activities: (1) the “Chief Justice Panganiban Professorial Chairs on Liberty and Prosperity”, (2) the official FLP Website (www.libpros.com), and (3) the “Liberty & Prosperity Journal”, hitherto an e-newsletter. 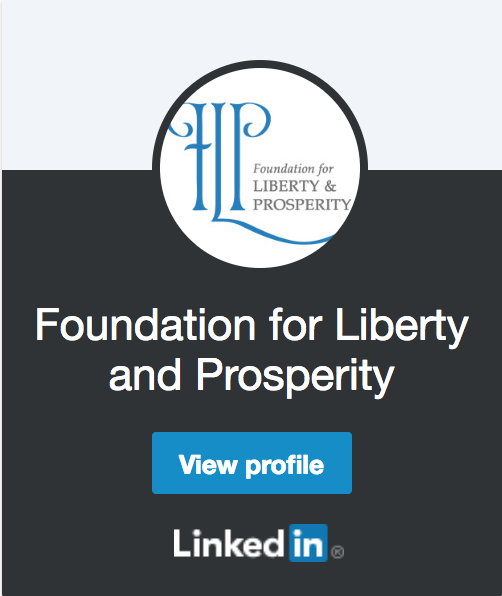 The Foundation has yet to realize its other proposed projects and activities, such as: (1) curricula on liberty and prosperity under the rule of law; (2) legal assistance, legal research and legal aid; (3) educational scholarships and fellowships; and (5) a Center for Liberty and Prosperity. The Board of Trustees and Officers are hopeful that the year 2014 is ripe for a Center for Liberty and Prosperity, which would enable the FLP secretariat to implement and accomplish more projects. The Chief Justice Panganiban Professorial Chairs on Liberty and Prosperity is being implemented for two years now, following its launch on September 18, 2012 at the Metrobank Auditorium, Makati City. This flagship project started the implementation of the Foundation’s Program of Action. The Metrobank Foundation partnered with the FLP in this endeavor by donating one million pesos (P1,000,000.00) in co-sponsorship of the program. advocates the promotion, appreciation, application and protection of liberty and prosperity. The output can be in the form of a traditional lecture, debate, case study or other modern and creative methods of communications, which is accessible to the public. The intellectual outputs from the chair holders will eventually be published in a book and/or in other modes of communications. One professorial chair holder will come from the Philippine Judicial Academy, preferably its Chancellor. He/She will be expected to deliver a public lecture or other intellectual output during the pre-judicature seminars/courses of PHILJA for one year, as well as during the annual meetings of the various trial judges associations. The FLP intended its first program, in the format of the professorial chair project, to be educational and implemented in an academic setting. The main objective is to get the academe to research and propagate the philosophy at the academe level (including training of students, professors, lawyers, and judges.) The FLP seeks to address the dearth of scholarly research on the philosophy of “Liberty and Prosperity Under the Rule of Law” by sparking discussions in law schools, and eventually influence their law curricula. The first batch of recipients include the deans of top nine law schools in the Philippines, plus a tenth chair in the Philippine Judicial Academy. These were—surnames in alphabetical order—(1) Atty. Reynaldo U. Agranzamendez (Dean, University of the Cordilleras College of Law); (2) retired Supreme Court Justice Adolfo S. Azcuna (Chancellor, Philippine Judicial Academy); (3) Atty. Andres D. Bautista (Dean, Far Eastern University Institute of Law); (4) Atty. Sedfrey M. Candelaria (Dean, Ateneo de Manila School of Law); (5) Atty. Danilo L. Concepcion (Dean, University of the Philippines College of Law); (6) Atty. Jose Manuel I. Diokno (Dean, De La Salle University College of Law); (7) Atty. Nilo T. Divina (Dean, University of Santo Tomas Faculty of Civil Law); (8) Atty. Joan Sarausos-Largo (Dean, University of San Carlos School of Law and Governance); (9) retired Supreme Court Justice Eduardo B. Nachura (Chairman, Arellano University Law Foundation); and (10) Atty. Manuel Quibod (Ateneo de Davao University College of Law). Regrettably, the 10th appointee failed to respond to FLP’s cordial invitation and appointment letter, hence he was eventually and decidedly removed from the list of chair holders. On its second term, a second batch of chair holders were appointed and/or renewed, namely (1) retired Supreme Court Justice Adolfo S. Azcuna (Chancellor, Philippine Judicial Academy); (2) Atty. Sedfrey M. Candelaria (Dean, Ateneo de Manila School of Law); (3) Atty. Joan Sarausos-Largo (Dean, University of San Carlos School of Law and Governance); and (4) Atty. Mikhail Lee L. Maxino (Silliman University College of Law). Among the second batch of chair holders, Dean Sedfrey M. Candelaria delivered his commitment in full. The Ateneo Law School Dean delivered his second public lecture entitled “Comparative Analysis of the Memorandum of Agreement on Ancestral Domain and the Framework Agreement on the Bangsamoro” on November 29, 2013. Thereafter, he organized an international moot court competition at the Ateneo Justitia Hall from March 4 to 5, 2014. To summarize, below is a table with the list of first term and second term appointees and their number of outputs already delivered. From ten chair holders on its first term, the professorial chairs program extended to another term (second) with only four chair holders renewed. We are still waiting for the first term appointees to cooperate and comply fully. Marking the second anniversary of the Professorial Chairs on Liberty and Prosperity (September 18, 2014), Deans Joan Sarausos-Largo and Mikhail Lee L. Maxino are expected to hold a back-to-back public lecture on September 11 and 12, 2014, in Cebu City and Dumaguete City, respectively. The FLP awaits their formal topic proposals yet. The Foundation published and distributed its e-newsletter “Liberty & Prosperity Journal” by the second quarter of 2013. These were received in PDF format by FLP’s network of VIPs, stakeholders, and academics via email. The 10 professorial chair holders likewise received copies of the e-newsletter and promised to disseminate them to their respective law schools for the benefit of students and faculty alike. Apart from the information dissemination efforts of the Foundation by means of e-newsletters and its official website, more projects are underway in the coming months. A World Bank sponsorship of the FLP’s ICT (Information and Communication Technology) and IEC (Information, Education, and Communication) projects will formally be sought by the end of 2014, a co-hosting of the ASEAN Law Association Conference with the Supreme Court of the Philippines is anticipated by February 2015, and a reconvening of the Global Forum on Liberty and Prosperity on October 2016, marking the 10th year of the first one in 2006. These high-profile projects are lined up with the aim of elevating our judicial philosophy to the international arena—to gain traction and support outside Philippines jurisprudence. On May 6, 2014, the FLP held a Strategic Planning Workshop together with the Far Eastern University (FEU) Institute of Law, in its new building in Ayala, Makati (FEU Makati). The workshop primarily aimed to discuss the transfer of the FLP’s headquarters and secretariat to FEU Makati. Joining in the discussions are Atty. Melencio Sta. Maria (new FEU Law dean) and Atty. Sedfrey M. Candelaria (Ateneo Law dean), who both pledged their support. To facilitate the transfer, FEU Makati will provide a room, furnished with basic office equipment, in its Makati building to serve as the main office of the FLP’s secretariat and admin. The Executive Secretary and/or Executive Director will also come from the FEU Faculty. The Ateneo Law School reiterated their cooperation and expressed that they can provide assistance in establishing the FLP head office and, soon perhaps, a Center for Liberty and Prosperity. One of the main points covered during the planning workshop was the FLP’s application to seek tax exemption. The Foundation is making preparations to seek accreditation from the Philippine Council for NGO Certification (PCNC), which would eventually allow the FLP to raise more funds, tax free for donors and donee. New projects were likewise discussed during the workshop, including the publication of books that will serve as a published compilation of the various lectures delivered for the Professorial Chairs Program, as well as manuals (in book form) for the Global Forum on Liberty & Prosperity held on October 18-20, 2006). In addition, the funding proposal to the World Bank, to sponsor the expansion of the FLP’s information dissemination projects, was also discussed. The proposal of creating an independent think tank was also revisited during the planning session. This will entail convening experts in law, policy, and business to perpetuate the aims of the Foundation. Finally, a creation of a Research Team was also proposed and discussed during the session. This group of professionals and academics—from different sectors of society including law, business and education among others—will generate research outputs and provide inputs regarding the philosophy of “Liberty and Prosperity Under the Rule of Law”. FLP Chairman, Chief Justice Artemio V. Panganiban, and President, Mrs. Evelyn Toledo-Dumdum, are currently cooperating with the Supreme Court in crafting a new reform program patterned after the Action Program for Judicial Reform (APJR). This endeavor would allow the FLP to closely cooperate with the high court in building its new reform program under the leadership of incumbent Chief Justice Maria Lourdes P.A. Sereno, who regard the FLP very highly. Moreover, Chief Justice Panganiban appeared in several speeches within the past year, generating more attention towards the FLP. Noteworthy are two particular speaking engagements—first at the Grand Alumni Homecoming of the Mapa High School held on February 23, 2014 and, second, at the Luncheon Fellowship of the Philippine Bar Association on March 25, 2014—where Chief Justice Panganiban delivered the first and second parts of his lengthy speech entitled “Safeguard Liberty, Conquer Poverty, Share Prosperity”. These major speeches sought to address and inform the general public as well as the upper echelon of law practitioners, respectively, regarding the retired chief justice’s judicial philosophy. Coming up is another important speaking engagement by the FLP Chair before the Integrity Summit organized by the business community and led by the Makati Business Club and the European Chamber of Commerce for the business community, which is to be held on September 19, 2014. As reported by then FLP President Maria Elena P. Yaptangco in her First Annual Report (2012), the Foundation was incorporated with a total of two million pesos (P2,000,000.00) as initial funds, a contribution by retired Chief Justice Artemio V. Panganiban. The financial position reached a sum of seven million, six hundred and seventy-five thousand, twenty-one pesos and seventy-eight cents (P7,675,021.78), combining cash on hand and in bank in 2012 after several members’ and friends’ unsolicited contributions. The biggest contribution of five million pesos (P5,000,000.00) was given by Metro Pacific Investments Corporation. In addition, our Chairman was able to secure a commitment of one million pesos (P1,000.000.00) from the Metrobank Foundation, by way of co-funding the Chief Justice Panganiban Professorial Chairs Program. FLP’s depository bank is Bank of the Philippine Islands (BPI). The funds may be withdrawn only by signature of two of its five officers, the Chairman, President, Executive Vice President, Treasurer and Corporate Secretary. Apart from its cash assets, the Foundation is the recipient of copyrights over the “Ageless Passion” musical compositions of Mr. Ryan Cayabyab and lyrics thereto by Mr. Kristian Jeff C. Agustin. Mr. Cayabyab’s professional fees amounting to four hundred thousand pesos (P400,000.00) were paid for directly by several friends of our Chairman, led by businessman Eduardo Yap. Copyrights of these works were obtained from the government by Atty. Joel Emerson J. Gregorio, FLP Corporate Secretary. To date, the Foundation has not incurred any salaries and personnel expenses. To help the FLP organize its secretariat, the salary of its former Executive Secretary, Kristian Jeff C. Agustin, was paid by The Baron Travel Corporation. In addition, the Board of Trustees are meeting quarterly pro bono. Regular meetings, including meals and snacks, are hosted by Chief Justice & Mrs. Artemio V. Panganiban at 1203 Acacia, Dasmarinas Village, Makati. The “Liberty & Prosperity Journal” came out with its maiden issue (September to December 2012), together with two succeeding issues (January to March 2013 and April to June 2013) by the second quarter of 2013. These were distributed as e-copies (in PDF format) to guests who were invited to the musicale “Ageless Passion” (December 20, 2012). Apart from the VIPs who received copies of the e-newsletter via e-mail, all FLP professorial chair holders (law school deans) also received the same and were asked to disseminate it to their respective law schools for the information and benefit of students and faculty alike. For 2012, the Foundation started the implementation of its Program of Action by launching the ten “Chief Justice Panganiban Professorial Chairs on Liberty and Prosperity”, with holders appointed among the top nine law schools in the country, plus a holder in the Philippine Judicial Academy. Thereafter, it followed-through individual lectures and activities by its chair holders and built a good partnership with their law schools. The Foundation also earned significant support from the Metrobank Foundation, among other donors. The Foundation for Liberty and Prosperity was formally organized as a juridical person when the Securities and Exchange Commission issued its Certificate of Incorporation on October 27, 2011. Its initial Board of Trustees is composed of Artemio V, Panganiban, Elenita C. Panganiban, Hilario G. Davide Jr., Washington Z. Sycip, Edilberto C. De Jesus, Jennifer J. Manalili, Maria Elena P. Yaptangco, Maria Theresa P. Manalac, and Joel Emerson J. Gregorio. Elected as its first batch of officers were Artemio V. Panganiban, Chairman of the Board, Maria Elena P. Yaptangco, President; Evelyn T. Dumdum, Executive Vice President; Elenita C. Panganiban, Treasurer; and Joel Emerson J. Gregorio, Corporate Secretary. Elected chair of the various standing committees were Artemio V. Panganiban (Executive Committee), Washington Z. Sycip (Finance), Hilario G. Davide Jr. (Governance), and Edilberto C. De Jesus (Education). Mr. Chief Justice Panganiban formally and publicly launched the Foundation during his 75th Birthday Celebrations, during which an original musical titled “Ageless Passion” was staged at the Meralco Theater in Pasig City on December 20, 2011, featuring six original musical compositions (plus an overture) of Ryan Cayabyab. During his address, he said FLP aims to perpetuate his core judicial philosophy that jurists and lawyers should not only safeguard the liberty of our people but must also nurture their prosperity under the rule of law. To him, justice and jobs; freedom and food; ethics and economics; democracy and development; nay, liberty and prosperity must always go together; one is useless without the other. The attainment of this dual goal involves an understanding of the intertwining relationship of law and business; and of regulation and entrepreneurship. Mr. Chief Justice Panganiban believes that in litigations involving the civil liberty of our people, the scales of justice should weigh heavily against the government and in favor of the people, pursuant to the doctrine of strict scrutiny. But in matters affecting the economy of the country and the prosperity of our people, courts – in the absence of grave abuse of discretion – must defer to the Executive and Legislative branches of government, in accordance with the principle of deferential interpretation of laws and executive issuances. The responsibility for promoting and developing the country’s economy rests primarily on its political leaders. Should they fail in this duty, our people can replace them during periodic elections. He also believes in private enterprise as the engine of economic growth. Thus, the government must promote entrepreneurship and encourage private capital. At the same time, the government has the duty of overseeing the fair and equitable distribution of private wealth to all our people, especially the poor and marginalized. The government, likewise, has the responsibility of enlarging the areas of economic growth for the benefit of future generations of Filipinos. Thus, the economic pie must not only be fairly divided but must also be enlarged so that more benefits could be spread to more people under the social justice principle of giving more law to those who have less in life. Accordingly, to achieve its goals, the Foundation shall organize, undertake and/or support the following projects and activities: (1) legal assistance, legal research and legal aid; (2) seminars, workshops, trainings, classes, debates, moot courts, oratorical jousts, and other forms of instruction; (3) professorial chairs, educational scholarships and fellowships; (4) curricula on liberty and prosperity under the rule of law; and (5) a Center for Liberty and Prosperity. At its incorporation, the Foundation was initially funded at two million pesos (P2,000,000.00). Thereafter, several members and friends gave unsolicited contributions amounting to P643,500.00 in 2011. In 2012, contribution came up to P5,040,000.00. Total expenditures amounted to only P35,684.24 as of June 30, 2012, per the attached report of our Treasurer, Professor Elenita C. Panganiban, showing cash on hand and in bank of P7,675,021.78. The biggest contribution of five million pesos (P5,000,000.00) was given by Metro Pacific Investments Corporation. Our Chairman was able to secure a commitment of one million pesos (P1,000.000.00) from the Metrobank Foundation, by way of co-funding the Chief Justice Panganiban Professorial Chair Program, which I will explain shortly. Also attached is the audited Financial Report as of December 31, 2011. Please note that the expenditures amount to only P35,684.24 consisting mainly of the printing of our official stationery and taxes. The Foundation has not incurred any salaries and personnel expenses; it depends solely on donated volunteer personnel services. Also, it does not pay any rental in its address at 1203 Acacia, Dasmarinas Village, Makati. All meals and snacks during meetings have been hosted. Apart from its cash assets, the Foundation is the recipient of copyrights over the “Ageless Passion” musical compositions of Mr. Ryan Cayabyab and lyrics thereto by Mr. Jeff Agustin. Mr. Cayabyab’s professional fees amounting to four hundred thousand pesos (P400,000.00) were paid for directly by several friends of our Chairman, led by businessman Eduardo Yap. Our Corporate Secretary, Atty. Joel Emerson J. Gregorio is in charge of obtaining the actual copyrights from the government. The Foundation’s depository bank is Bank of PI. The funds may be withdrawn only by the signature of two of its five officers, the Chairman, President, Executive Vice President, Treasurer and Corporate Secretary. To help implement its program of activities, Executive Vice President Evelyn T. Dumdum is at present searching for a full-time Executive Secretary and a clerk. These full-time employees would be needed to keep track of the Foundation’s program of activities and the documentation needed to obtain the tax-free status of our Foundation. To start the implementation of its Program of Action, the Chief Justice Panganiban Professorial Chairs on Liberty and Prosperity were created in the top nine law schools in the country, plus a tenth chair in the Philippine Judicial Academy. The deans of five of these law colleges, namely, Sedfrey Candelaria of the Ateneo de Manila, Danilo Concepcion of the University of the Philippines, Nilo Divina of the University of Santo Tomas, Andres Bautista of the Far Eastern University and Jose Manuel Diokno of the De La Salle University accepted the grants during a breakfast meeting hosted by our Chairman. To be tapped later are the San Beda College of Law plus one law school each from Northern Luzon, Visayas and Mindanao to complete the number to the planned nine. Essentially, the deans will be the initial holders of the professorial chairs. The holders will receive two hundred thousand pesos (P200,000.00) per year (one hundred thousand per semester). They will have the responsibility of conducting original research and to deliver the intellectual output (advocating the promotion, appreciation, application and protection of liberty and prosperity) once every semester to all the members of the faculty and entire student body of their respective law schools. The output can be in the form of a traditional lecture, debate, case study or other modern and creative methods of communications. As counterpart, the law school will host the lecture or equivalent. The intellectual outputs from the chair holders will be published in a book and/or in other modes of communications. In the case of the Philippine Judicial Academy, the initial chair holder will be the Chancellor (Justice Adolfo S. Azcuna) who will be expected to deliver the lecture or other output during the pre-judicature seminars/courses of PHILJA for one year, as well as during the annual meetings of the various trial judges associations. The Professorial Chair Program will be launched in early September at Far Eastern University, hopefully after a new chief justice has been named and who will be invited to grace the launching. Our other projects for this year include the setting up of a website, the publication of a quarterly (later, monthly) newsletter, publication of books for the proceedings of the Global Forum on Liberty and Prosperity held on October 18-20, 2006 as well as for the various lectures to be delivered during the Professorial Chairs Program, and documentation facilities including cameras and audio-visual equipment. Executive Vice President Dumdum is working these out.